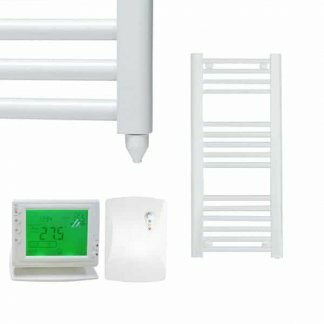 Aura Uni Small Electric Heated Towel Rail / Warmer. Low energy / power consumption. 5 Year Guarantee. 30 Day Returns Policy. Low power consumption – white model: 75W, chrome model: 40W. Style: d-bend, round tube. Colours: chrome, white. Long-lasting with durable finish. 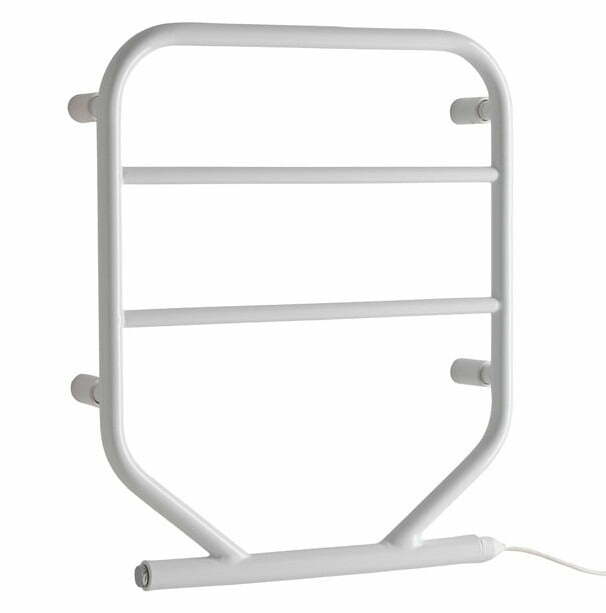 Ideal for room spaces such as kitchen, bathroom, shower room, cloakroom, caravan, hotel. Splash proof (IP67-rated). Sizes: Width – 500mm. Height – 600mm. Size range: Small / Compact / Narrow, Medium / Regular. Wall-mounted. Wall Projection = 100mm to front face of towel bar. Easy to install with four mounting brackets and full instructions. 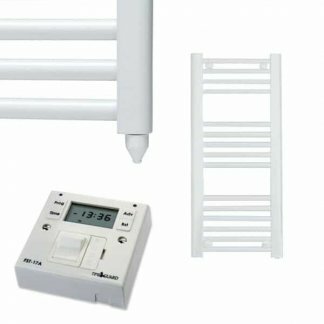 The Aura Uni heated towel rail / towel warmer can be connected to MAINS ELECTRIC. 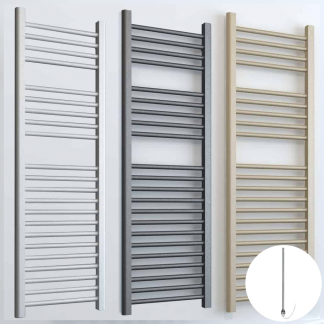 It is designed for warming towels only and the power output is low at 40 Watts (White) and 75 Watts (Chrome), resulting in a very economic / efficient heated towel rail. This is a quality product and is splash proof / IP67-rated. It has been filled with the frost-resistant liquid glycol for winter protection (ideal for caravans). Ideal for many room spaces, including bathrooms, kitchens, shower rooms, w.c’s, cloak rooms and caravans. Power: 220-240V AC / 50Hz. Looks good. Not yet fitted. 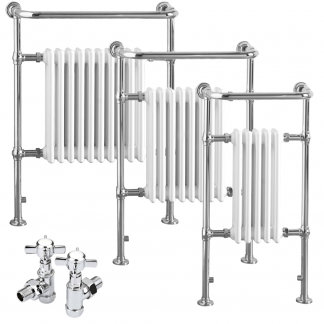 Brilliant service & great towel rail. Good seller to deal with. Thank you.